For other (non-Insurance) Veterans Benefits forms, please use the VA Forms Page. Note: Servicemembers' and Veterans' Group Life Insurance forms are created by the Office of Servicemembers' Group Life Insurance, which administers these programs for the Department of Veterans Affairs, and are made available on this web site as a courtesy to Servicemembers and Veterans. The forms provided on this page, although reviewed by VA, are not VA forms. Left-click on the form title to view the form in your browser. Right-click on the form title and choose "Save Target As" or "Save Link As" in the sub-menu. Many of our forms can be filled out using the Adobe Acrobat Reader. You may fill out the form online or download the form to your hard drive and fill it out from there. The form can then be printed out with your entries already completed. Note: When printing out forms that you have filled out online, you must choose "Print As Image" in the print dialog window. use this form as a continuation to SGLV 8286 to designate additional SGLI beneficiaries. Follow this link to find out when your service is scheduled to begin using SOES. Claim for Death Benefits (SGLI/VGLI) Use this form to claim SGLI or VGLI proceeds for a deceased policyholder. SGLV 8284 Servicemember/Veteran Accelerated Benefits Option Form Use this form to request an advance insurance payment for a Servicemember or Veteran that is terminally ill. Application for SGLI Disability Extension Use this form to apply for a free extension (up to two years) of SGLI coverage if you are a totally disabled at time of discharge. Family Coverage Accelerated Benefits Option Form Use this form to request an advance insurance payment for a spouse that is terminally ill.
Report of Death of a Family Member This form is used by military casualty and personnel offices only. Claim for Family Coverage Death Benefits (SGLI) Use this form to claim FSGLI proceeds for a deceased spouse or dependent. Application for Veterans' Group Life Insurance Use this form to apply for VGLI insurance. Beneficiary Designation Form (VGLI) Use this form to designate or change the beneficiary for your VGLI policy. SGL 180 Application for Reinstatement of Coverage (VGLI) Use this form to reinstate a lapsed VGLI policy. Servicemember/Veteran Accelerated Benefits Option Form Use this form to request an advance insurance payment for a Servicemember or veteran that is terminally ill. Application for TSGLI Benefits Use this form to apply for a TSGLI benefit. TSGLI Appeal Request Form Use this form to appeal a denial of TSGLI benefits. Before using this form, please refer to the denial letter you received from your branch of service. Your letter will indicate whether you should utilize this form when submitting your appeal and the time frame in which you must submit your appeal. How to Convert Your SGLI/FSGLI/VGLI Coverage to an Individual Policy This pamphlet provides information on converting SGLI, FSGLI and VGLI coverage to an individual policy. It also provides a list of commercial insurance companies that will accept a conversion. Follow this link to apply for S-DVI online! Service-Disabled Veterans Insurance RH Information and Premium Rates This pamphlet gives Service-Disabled Veterans Insurance premium and plan information. Use this pamphlet when applying for S-DVI. A tool is available to calculate the premiums which would be paid under VMLI. These forms are to be used for National Service Life Insurance only. They cannot be used for VA Compensation, VA Disability, Servicemembers' or Veterans' Group Life Insurance. Application for Conversion Use this form to convert all or part of your term insurance to a permanent plan of insurance. VA MATIC Change (Changes to Bank/Checking Account) Use this form to request an automatic monthly premium deduction from your checking account. OR Use this form to update your bank account information when you are having premiums deducted from your checking account. Direct Deposit Enrollment or Change This form is for National Service Life Insurance only. 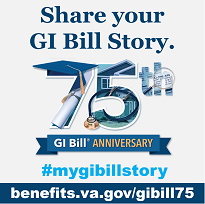 Do not use this form for VA compensation, VA disability, SGLI or VGLI Use this form to enroll in direct deposit or change your direct deposit information. (Non-medical, Comparative Health) Use this form to reinstate your insurance policy if it has lapsed for less than 6 months. Claim for One-Sum Payment Use this form to claim the proceeds of a government life insurance policy. Claim for Monthly Installments Use this form to request the proceeds of an NSLI policy be paid in monthly installments.